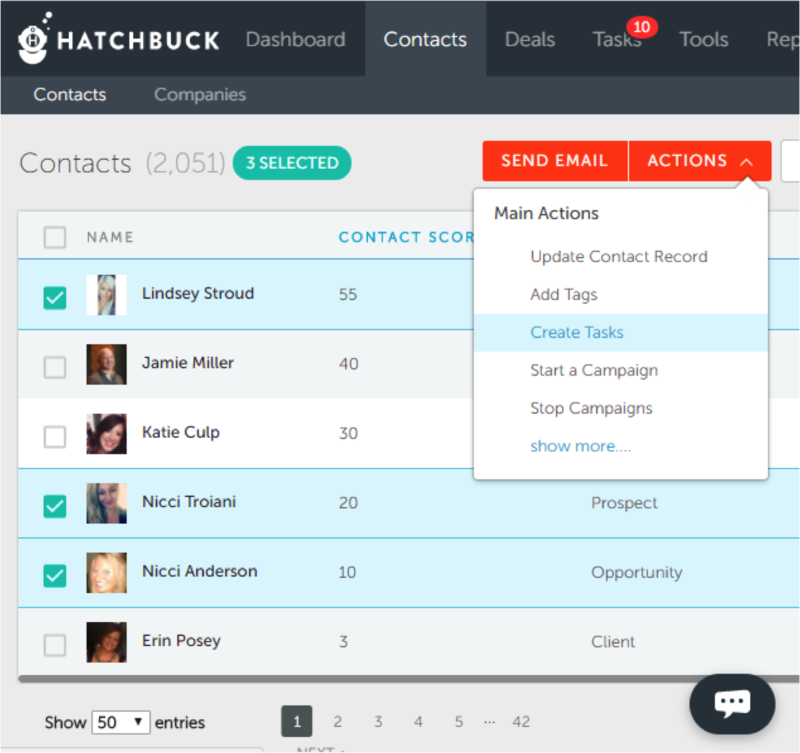 Feel like there isn’t enough time each day to follow-up with your contacts and generate new leads at the same time? 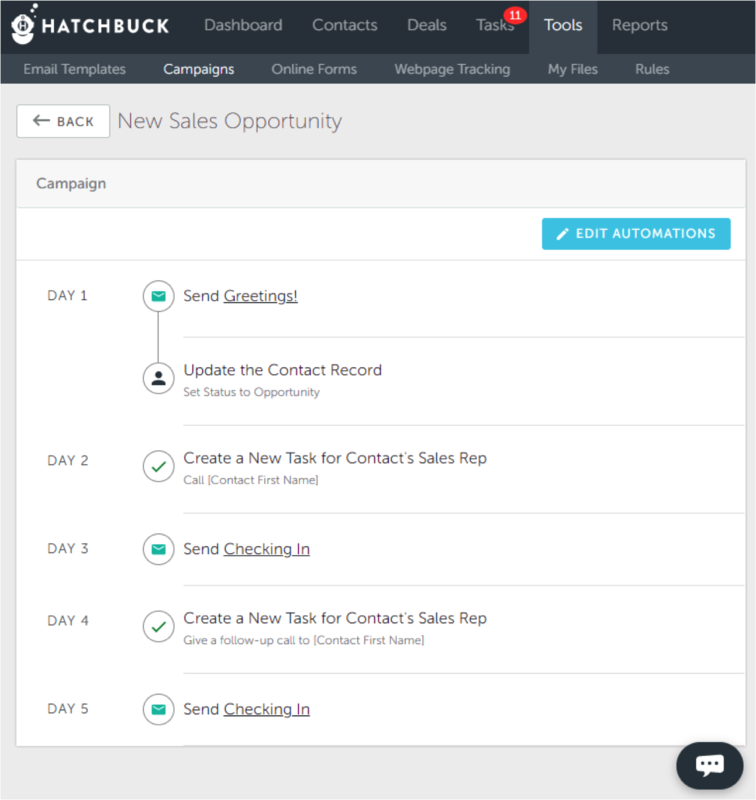 It’s time you considered marketing automation. Am I reaching people at the right time? Are people actually engaging with my marketing content? How can I fit enough hours in the day to monitor leads so they don’t fall through the cracks? Automation solves the pesky, administrative side of marketing. In fact, here are a few specific ways you can make your marketing life easier through automation. Few things stay static these days, and keeping tabs on your database of contacts can be a chore. Tags help you dynamically segment and filter your prospects and customers into lists you can easily target with hyper-relevant communication. 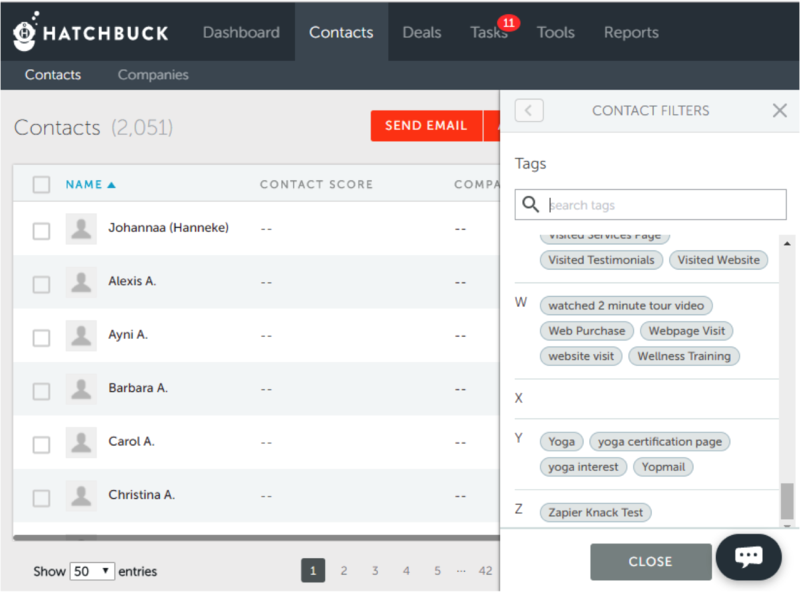 For instance, with Hatchbuck marketing automation, you can tell Hatchbuck to add tags to your contacts based on the pages they visit on your website, or the links they click in your emails. 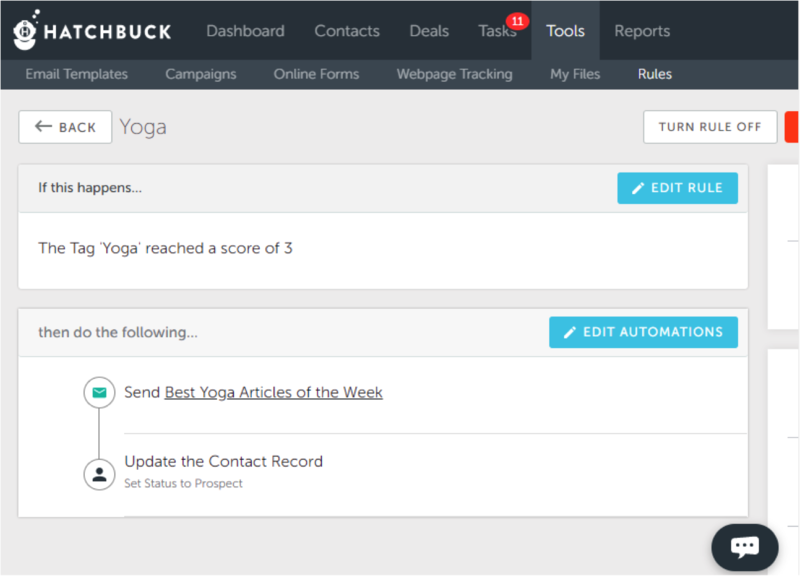 So, if you’re a fitness center, you could tell Hatchbuck to automatically add a “Yoga” tag to any contact that visits pages on your website that have information about yoga classes. As you learn more about your contacts’ preferences and activity, you can send them messages they can relate to and help them along the path to conversion in the most efficient way possible. Attracting, converting, closing, and delighting (the stages of the inbound marketing methodology) take time. It’s a process, which means there are multiple steps. But, with hundreds or thousands of contacts to keep tabs on, it’s easy for processes to break – causing hot opportunities to slip through the cracks. 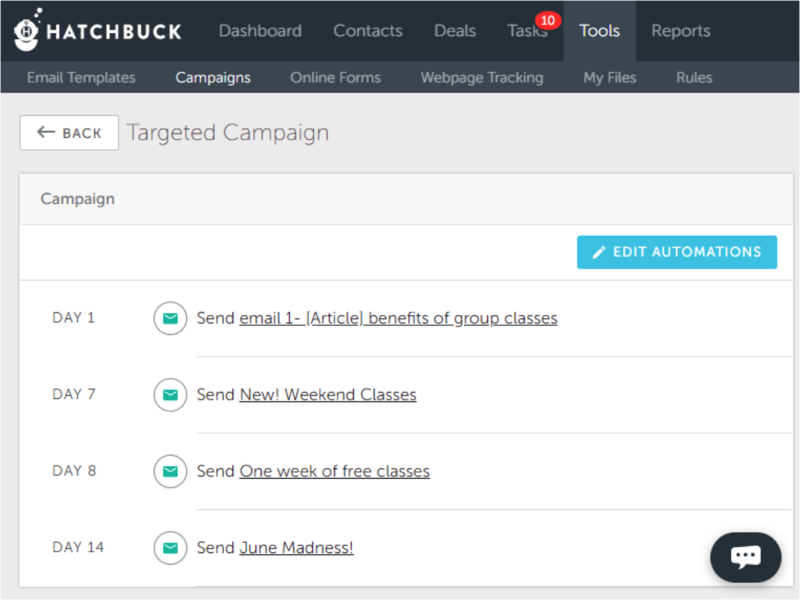 Marketing automation helps keep processes and people on track with campaign workflows and tasks. So, if someone makes a purchase, downloads an ebook, or subscribes to your newsletter, your marketing automation software can automatically send the appropriate follow-up email, as well as create a task for a team member to follow-up. 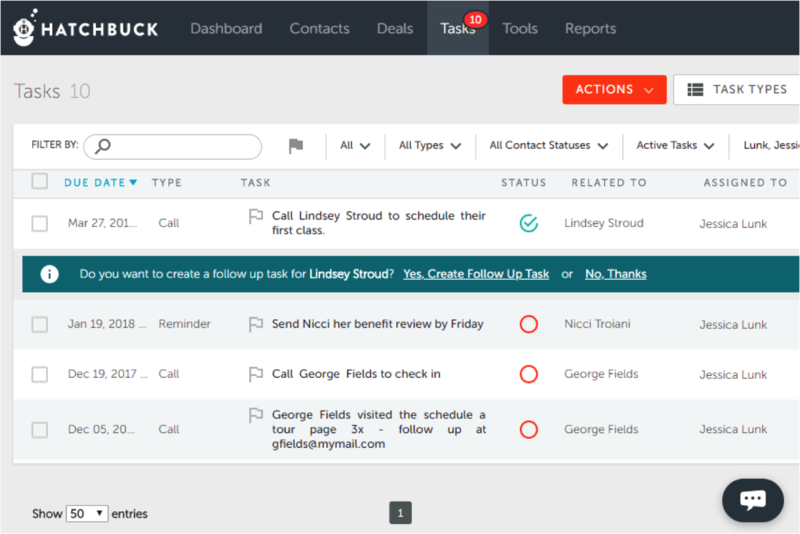 Then, your customer-facing team – whether it be a sales person or account manager – can easily keep track of follow-up, like meetings and calls. Wish you could regularly communicate with leads so that they’d move closer to being sales-qualified leads? One effective marketing automation campaign is a drip email campaign. Pre-written emails are sent out to specific individuals at the right time when they perform a specific action. 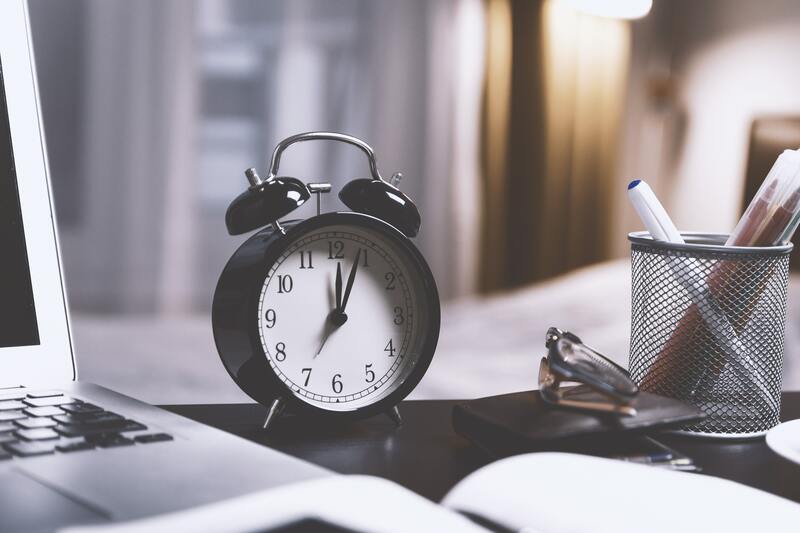 Once you’ve written them, the marketing automation software handles the timing and sending, allowing you to nurture leads without spending your entire day sending out emails. What we mean is that not every lead is ready to go over to your sales team. The quickest way to annoy your sales team is to send them the contact information of people who aren’t ready to make a purchasing decision. With marketing automation software, you can assign scores to leads based on what kinds of activities they perform. So if someone just visited your site once, they probably aren’t very interested in buying your product or signing up for a subscription. But if they signed up for your newsletter, follow your social media, tune into your webinars, and downloaded your ebook, they are clearly an engaged lead who may respond to a sales call. Lead scoring allows you to approach marketing more efficiently by spending your time on promising prospects. With marketing automation, you can track engagement, lead source, contact status, sales rep and more, giving you precious insight into what’s working, and what’s eating up valuable resources in your sales and marketing process. You can tell if one salesperson is particularly good at closing big deals. 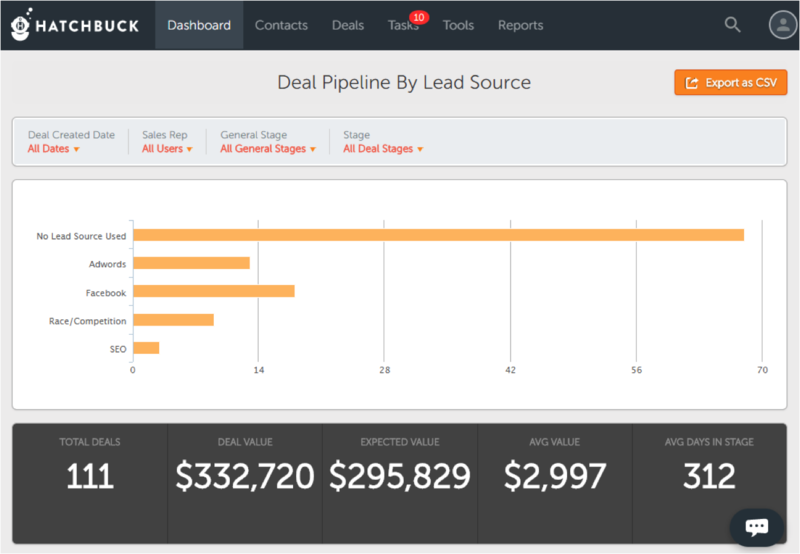 You can see what your top customer lead source is. You can tell which emails are getting the most click-throughs. With data at your fingertips, you can easily turn up the dial on your sales and marketing efforts. When the daily grunt-work of tracking, tallying and analyzing is all automated for you, your sales and marketing process actually gets less robotic and more personal. With marketing automation, you can free up time and resources to focus on growing key relationships for your business.